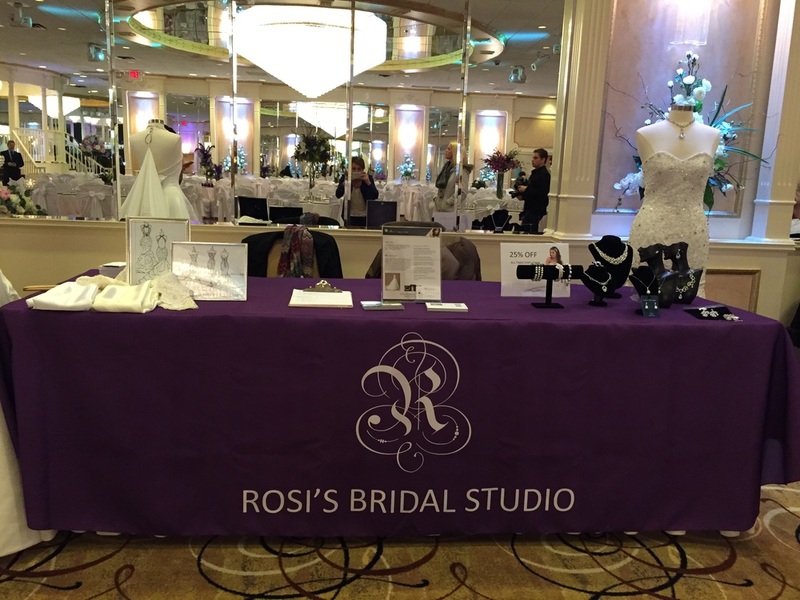 With its convenient location just minutes from New York City, and its ability to accommodate several special occasions including weddings, Sweet 16's, batmitzvahs, and many other special events, it's no wonder so many brides showed up eager to experience what the buzz was about. You can get more information on their ballrooms and view more photos of their facilities here. Cake vendors, DJ's, photographers, planners and many other wedding vendors all showed up to flaunt their stuff. I must say: the food tasting was dee-liscious!! We took in the ambiance in the main ballroom. The scene is set with beautiful uplighting and a picturesque gazebo that sits to the far left side of the ballroom where the bride and groom step onto the dance floor from. The music was pumping and the excitement was high. We were ready to show all of the lovely ladies who stopped by our booth what makes us stand out from the rest. The brides and grooms-to-be along with their friends and family got the chance to experience what a wedding at the Graycliff is like. All of the guests took their seats and while enjoying their food and beverages patiently waited for the mock wedding to begin. We dressed our model in one of our gowns and completed her look with one of our signature headpieces and sent her off with her "groom" who was modeling a tuxedo from Biltmore Tuxedo in Rutherford, NJ. The anticipation of seeing the bride and groom was heightened when the announcer got on stage and made their introductions, followed by a first dance to John Legend's "All of me". View video here. An excellent and successful event overall.